Once you have the phone system enabled and numbers purchased you can start to make calls. If you want to make a call as you would on a normal telephone it is very easy to do. Just click the phone icon on the top right of the toolbar. You will then be displayed a standard keypad where you can enter the phone number to call and press the Call button. 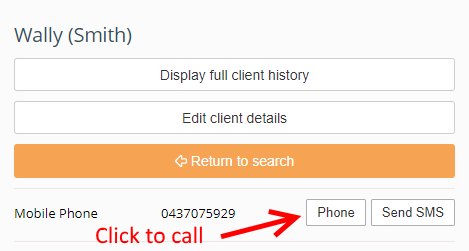 If the phone number you purchased for the location is a Local number you won't need to enter an area code when dialling.